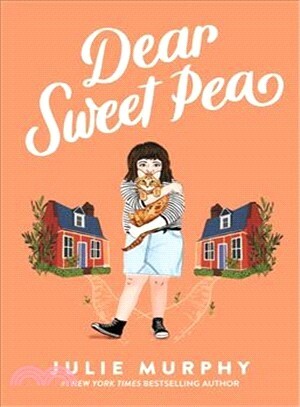 The first middle grade novel from Julie Murphy, #1 New York Times bestselling author of Dumplin’ (now a popular Netflix film), Dear Sweet Pea is a funny, heartwarming story about a sixth grader named Patricia, widely known as Sweet Pea, as she navigates her parents’ unconventional divorce and finds herself in the unlikely role of the town’s advice columnist. Dividing her time between two homes is not easy. And it doesn’t help that at school, Sweet Pea is now sitting right next to her ex–best friend, Kiera, a daily reminder of the friendship that once was. Things might be unbearable if Sweet Pea didn’t have Oscar—her new best friend—and her fifteen-pound cat, Cheese.